Parents have many things in mind when they look for strollers. Of course, it is not only the safety of the children that is important. Comfort, convenience, durability and a whole lot of other factors come into play. Having twins is undoubtedly delight and sometimes, a nightmare. When you have the wrong pushchair, you tend to get frustrated with watching over the kids that you get stressed and eventually, lose enjoyment in going outdoors with the kids. When you need a replacement for that baby carriage, you should have a look at Mountain Buggy stroller product line. This will provide comfort to you and your children. Stop hesitating and look for the right pushchair now. There are a lot of double pushchairs out there so choose the one that will satisfy your outdoor needs. 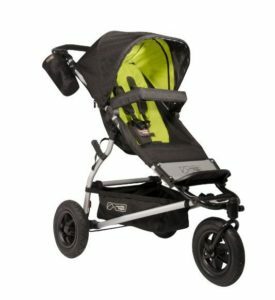 Take them out for a walk in the park with the Urban Elite twin stroller. There are a lot of pockets and a storage basket so you can bring along some snacks and essential things you might need. Style and performance are combined in this twin pram. If you want your kids to explore the world in ultimate comfort, this is the one you should get. Make your life having two kids a whole lot easier with this pushchair. It can deal with any terrain in the city places. Its also very easy to maneuver and turn, so you don’t get stuck around the corners. There are not many models designed for twins. Mountain Buggy Duet Double pram aims to fix that by introducing a unique design with all the performance of a single pushchair, but with double the capabilities. At 33 pounds, this pram is a bit heavier than other models, and with 39 inches in height, it is taller as well. This big, heavy-duty double pram is perfect for extended usage, and can even be conserved in size by converting it to a single-seater design. It is amply spacious inside and has helpful compartments to store various objects. The seat reclines and is strong; able to carry 40 pounds on average. This model is compatible with various forms of adapters and add-ons, which means that it is easily customizable. 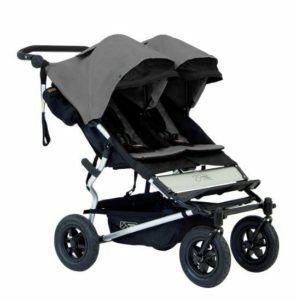 In all its essence, the Duet Double pram is an amazingly helpful device that can make raising children for new couples easier than ever before. 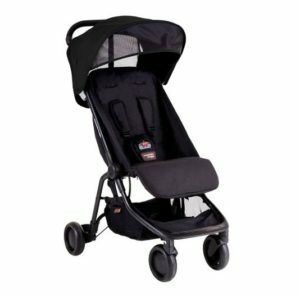 The Mountain Buggy Nano travel stroller comes in exciting black color. At the height of 22 inches, this 13-pound pushchair stands proud and strong, with straps for the shoulders and travel bags included. The additional car seat is attached to this model to remove adapter worries. Its size allows it to be used with minimum difficulty, and the standard folding measures are easy to get used to. Even a child of 4 years can use this specific model without facing restrictions because the inner compartment is so spacious. Reclining seats and a bassinet make it more appealing, with an impressive loading capability of 20 kilograms. The front wheels can be specifically brought out to allow lighter handling. The Nano Stroller is designed to be airplane-safe and is more than capable of protecting your child from motion sickness or accidental bumps. There are not too many pushchairs that emphasize speed. Mountain Buggy 2013 Swift pram, thus proves itself to be a rare example, as it brings a plethora of agility, maneuverability, and compactness to the table. Its three-wheel system gives it an added boost in its required criteria and makes the whole structure easy to move, even at severe angles. At 21 pounds, its lightweight body allows more comfortable handling, which makes it an all-terrain vehicle. The tires are filled with air in such an amount that it complements the overall balance of the design and provides further assistance in traversing rough grounds. The seat has a huge 77-pound capacity and is capable of fully reclining. Even though it is designed to be fast and smooth, it causes no discomfort to the baby inside. 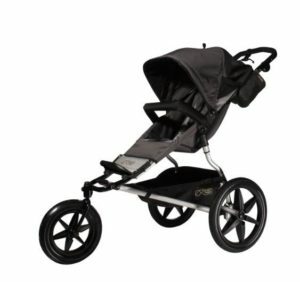 Like a few other similar models, the Swift Stroller Model 2013 is compatible with various other additional tools as well. 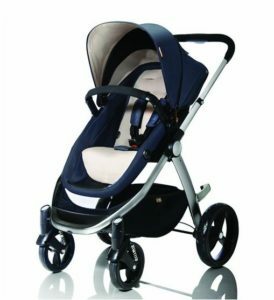 If there ever were a competition between prams with a perfect combination of useful features, the Mountain Buggy Cosmopolitan Stroller would probably achieve victory. Even though it is not as popular as other models from the same producers, this 25-inch wide pram is the perfect size to fit any baby in. The denim fabric used to build it is durable, and the cloth feels like cotton to the touch. With an attractive design, a stylish finish and a maximum capacity of 44 pounds, this pushchair is a beautiful powerhouse. The metal frames have been joined in a robust manner, which gives its external structure a significant sturdiness. Smooth maneuverability and fast folding techniques make it straightforward to use in any situation. The extra pouch underneath allows additional storage, making it a mini traveling home for the baby. 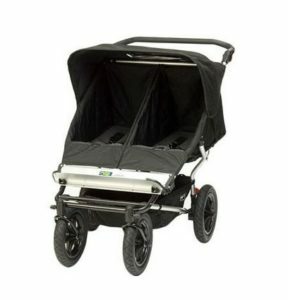 The sun canopy, puncture-proof tires, suspension wheels and convertible shapes are other qualities that the Cosmopolitan Stroller has used to cement itself as a premier baby carriage. 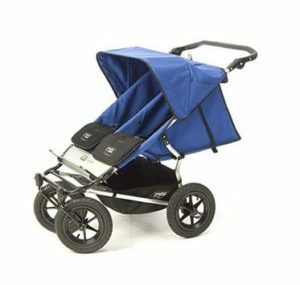 Just like its mouthful name, the Mountain Buggy Terrain Single Jogger is loaded with a handful of features, making it a popular product of its dedicated users. Suspension mechanism with shock absorption is as alluring as it sounds on paper, and it is even more so with a brake that can be accessed at any time. The handle height can be adjusted to various heights, and like others, it has a seat that reclines. At 37 pounds, this jogger is not one of the lightest, but its added weight helps it balance its performances better. A sun canopy and unstable terrain support are only the icings on the cake. Required initial set-up time is small even for beginners, and its overall user-friendliness attracts new users. All in all, this perambulator may seem typical at first, but it certainly does pack a punch in terms of being a quality pushchair.